Here’s a picture of a cricket match. It could be in Sussex, Hampshire or Dorset perhaps? Or maybe Palmerston North in New Zealand, or Tasmania? All wrong. 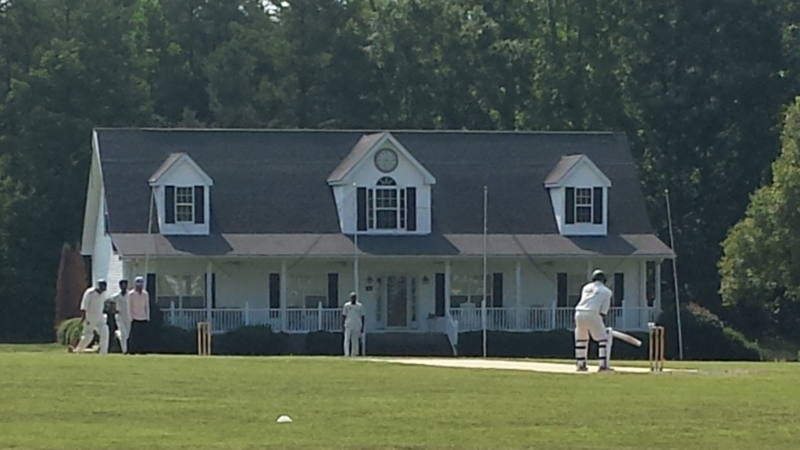 This is High Point CC playing a league match at Hobson Field, North Carolina, USA. 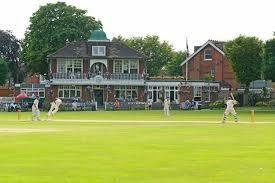 The purpose built cricket ground is 12 years old and stages matches all summer from April to October. 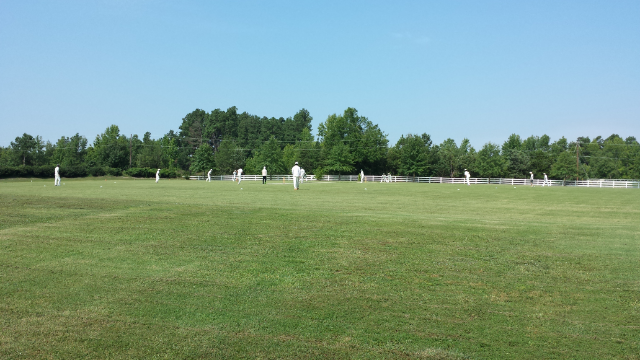 It may surprise you to know there are 55 cricket clubs in North Carolina playing in 3 different leagues. There are more than 1000 cricket clubs in the United States overall. America is actually the oldest cricketing nation. The Cricket All Stars matches between Shane’s Warriors and Sachin’s Blasters – which continue November 11 in Houston – are a reminder that international cricket first began not in England or Australia but in the United States with a match between America and Canada (in 1844, predating England-Australia matches by more than 30 years.) There was a rematch in 1859. More than 10,000 people attended. Baseball gradually eclipsed cricket in the States (it was more egalitarian and easier to play) but the game is slowly evolving in the US again, supported by thousands of ex-patriot Asians, Australians and Englishmen, encapsulated by High Point CC, frequent winners of the Carolina Cricket League. Its founder, Mark Hobson, learnt his cricket at my old club, Ealing CC, and constructed the pavilion in memory of the traditional building at his old west London club. The standard of the league is decent – High Point CC won all their matches on a recent tour to Australia – and the facilities are good. The field is on seven acres of property and blessed with the right shape and the right topography for a cricket ground 160 yards long and 150 yards wide. There is a scoreboard – shipped in from Australia – bench seating and even some rocking chairs in front of the house that adds to the park cricket atmosphere. Three teams play their home matches at the field, which also has practice nets. Previous story Is the Bell finally tolling for England’s no3?